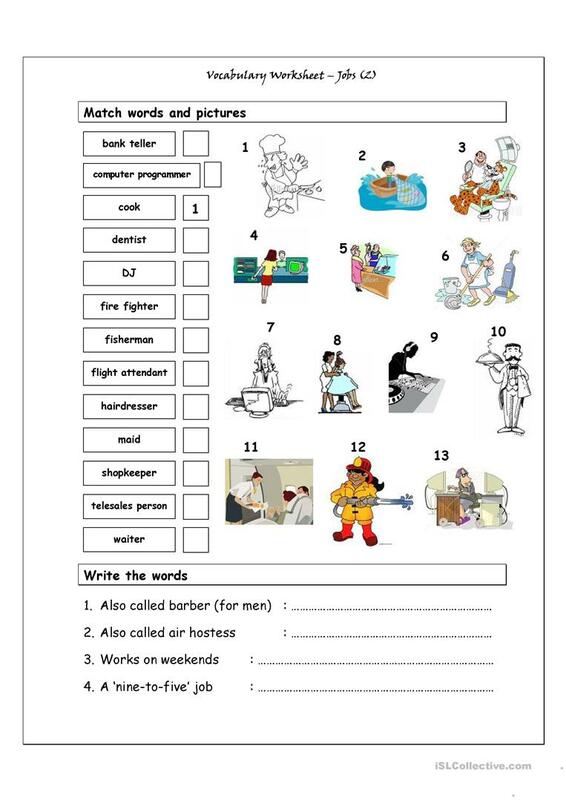 Vocabulary worksheet focusing on jobs (more difficult). It has two sections: Match words and pictures (matching exercise) and Write the Words (creative exercise). This downloadable printable is a great resource for high school students, elementary school students and adults at Pre-intermediate (A2) and Intermediate (B1) level. It is excellent for strengthening your learners' Reading and Writing skills. It features the vocabulary topic of Jobs, work. The exercises come with a key.